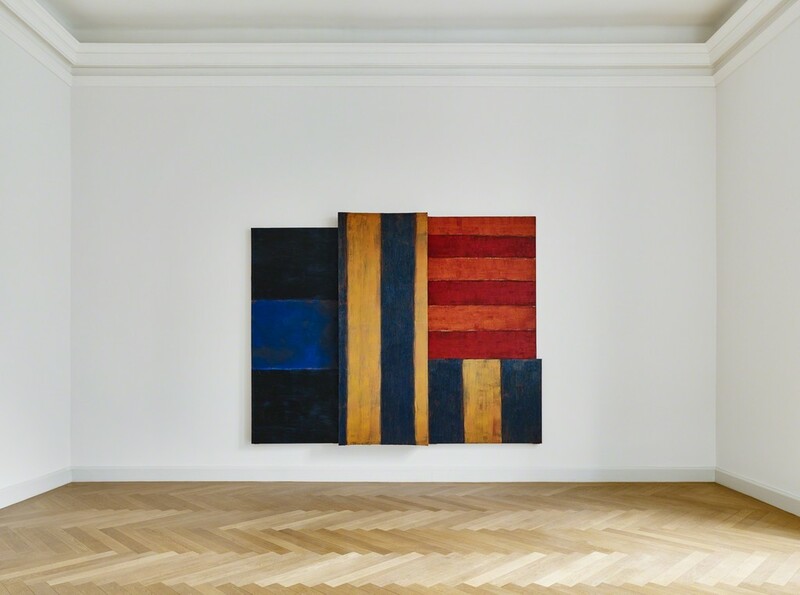 KEWENIG is especially pleased to announce the forthcoming exhibition of works by Sean Scully (b. 1945, Dublin) and a painting by Henri Matisse (1869-1954), which will open on 7 September. 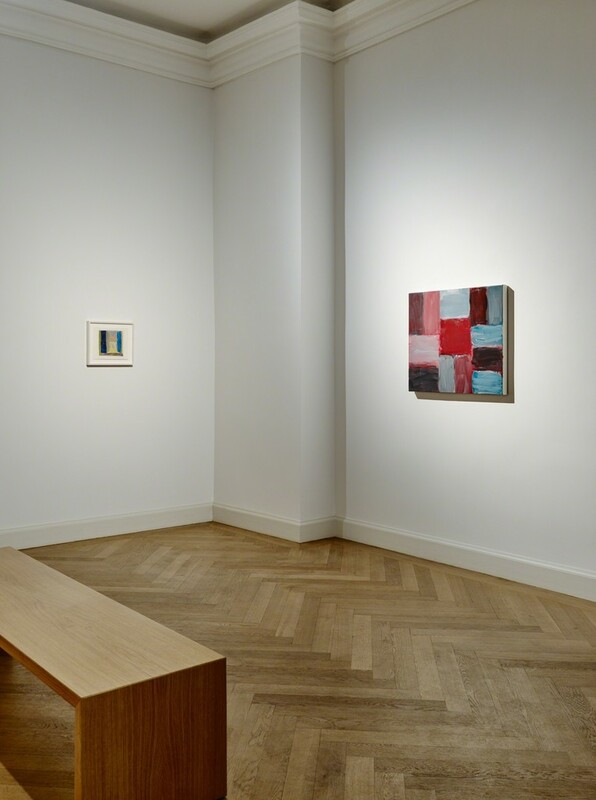 It is the second exhibition of the Irish-American artist in our Berlin gallery. 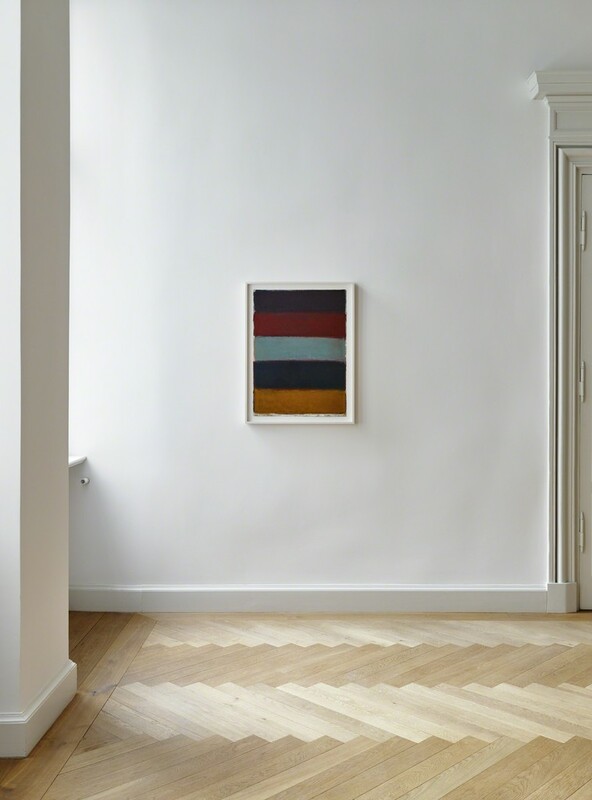 Scully is recognised worldwide as one of the most important abstract painters of our time and has devoted most of his work to vertical and horizontal colour blocks, stripes and their relationships. He continues this motif spatially in his monumental sculptures, which will receive their first extensive presentation, running almost simultaneously (29.09.2018 - 06.01.2019), at Yorkshire Sculpture Park in Wakefield, the most significant sculptural institution in Europe. His extensive œuvre however transcends this formal vocabulary and deals, among other things, with the interrogation of interpersonal relationships, whereby the individual works develop a romantic and melancholy aura. 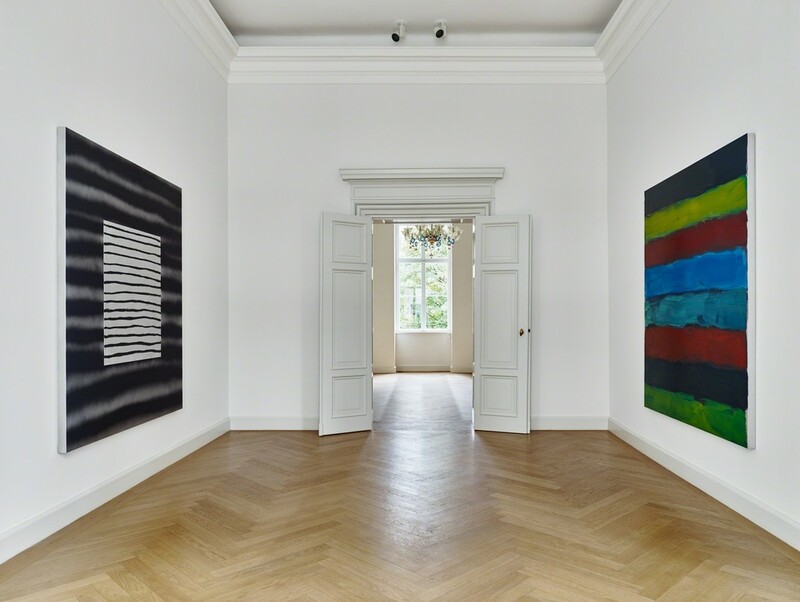 Historic works by Scully from the 1980s up until recent paintings and works on paper will be presented in this exhibition with the painting 'Interieur in Etretat', by Henri Matisse from 1920, which has been generously loaned by the Berggruen Museum, from a private collection. 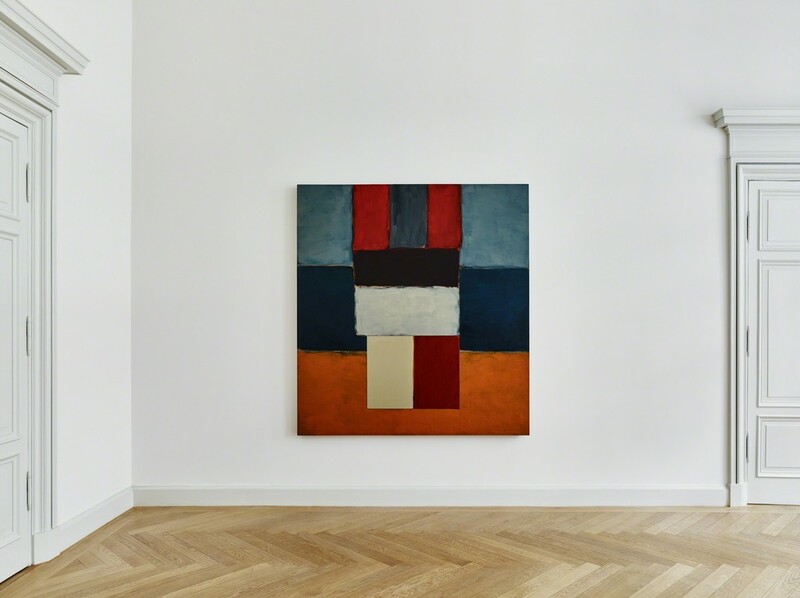 This affords the exhibition the opportunity to highlight the influence of the French painter on Sean Scully's work. 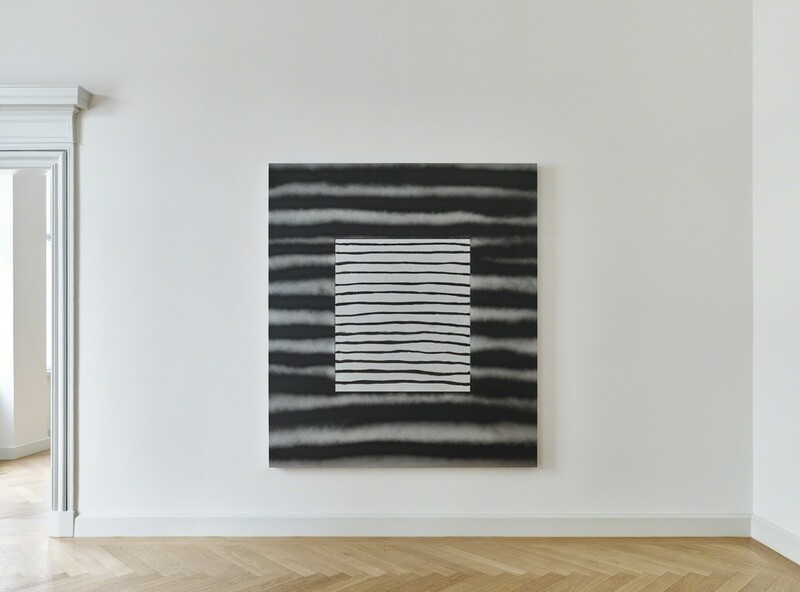 Scully became interested in the idea of the window as an image within an image at the end of the 1980s and begun capturing this motif in paintings and graphic work, as well as in photography. In numerous lectures and writings, he has repeatedly stressed his admiration for Henri Matisse and emphasised how essential the examination of his work is for his own painting. 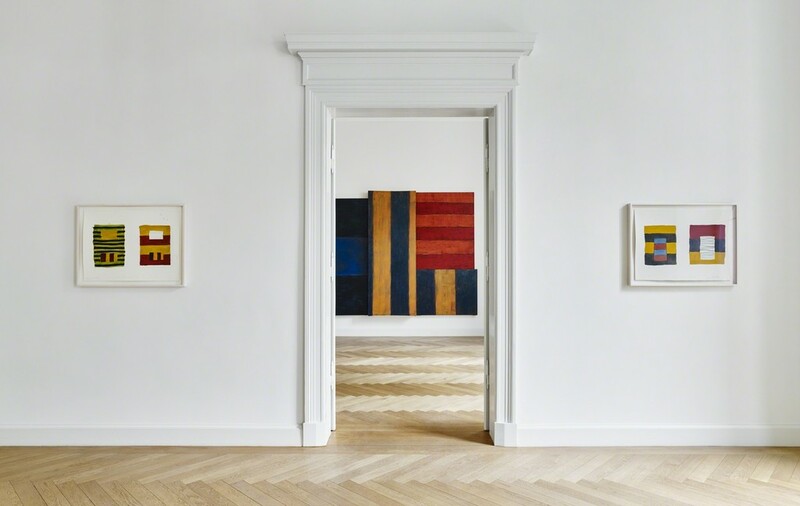 To this day, Scully's artistic œuvre, his consistent work with stripes and especially his 'Window Paintings' is strongly influenced by Matisse. 'Interieur in Etretat' is a wonderful example of Matisse's many interiors with window views that inspire Scully in this body of work. In the small format interior, a window opens onto the harbour of the northern French town of Etretat, where Matisse spent part of the summer in 1920. The muted colours in the painting, capture the mood and light of the sky, which is often overcast on the French north coast near the English Channel, and differs greatly in this respect to the radiant palette of the works made in Nice by the painter, for which he, as the leading figure of the French Expressionist group les Fauves, is renowned. Scully too, often selects his colours directly from the nature that surrounds him. The oil painting finished on aluminium, 'Landline Blue Green' (2016) is an example of Scully's Landline body of work, in which wide beams in their horizontal arrangement recall the converging of (horizon lines between) land, sea, and sky, and which at the same time recalls the palette of Matisse, picking up his typical bright blue. The reference to Matisse's interiors with windows in addition to the ‘Window Paintings’ within the show, is also found in the paper works in the exhibition, such as the watercolour, ‘Window 5.18.18’ (2018) and the pastel ' ‘Windows 5.12.18’ (2018). The striking combination of colour fields, the superimposition and juxtaposition of patterns, and the repetitive configuration of surfaces are further references by Scully to Matisse, which can be seen in oil paintings such as ‘Mirror Maroon’ (2015), the pastel ‘Landline 5.15.18’ (2018), and will be featured in his most recent aquatint series from this year. 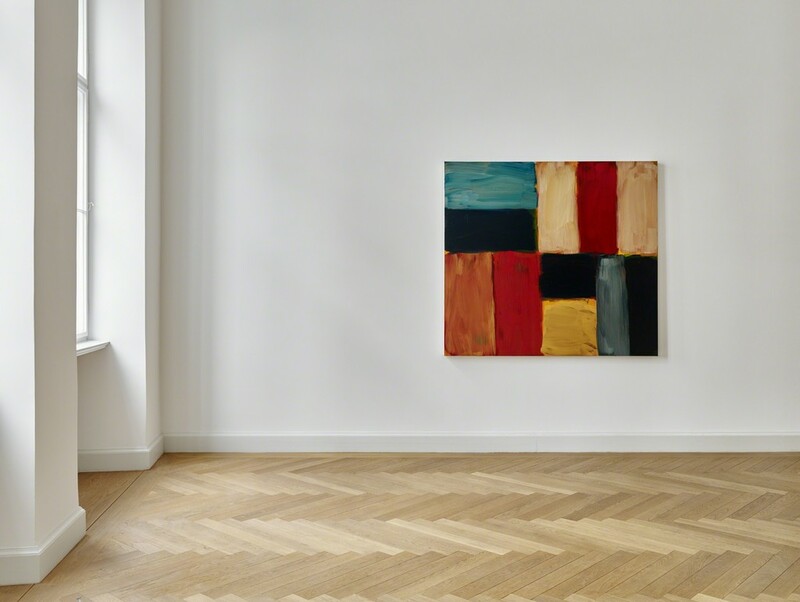 Sean Scully lives and works in Upstate New York and Königsdorf in Bavaria, with a further studio in Berlin. His works have been shown in more than two hundred solo exhibitions at such venues as the Multimedia Art Museum in Moscow (2017), the Guangdong Museum of Art, Guangzhou (2016), the Pinacoteca do Estado do São Paulo (2015), the National Gallery of Ireland (2015), the Chinese Academy of Fine Arts, Beijing (2014), the Philadelphia Museum of Art (2012–13), the Centre Georges Pompidou in Paris (2007), the Metropolitan Museum of Art in New York (2006), the National Gallery of Australia in Canberra (2004); the Centro de Arte Reina Sofia in Madrid (2004), the National Gallery of Arts in Washington, D.C. (2001–02), the Lenbachhaus in Munich (1989), as well as during the Venice Biennale (2015). 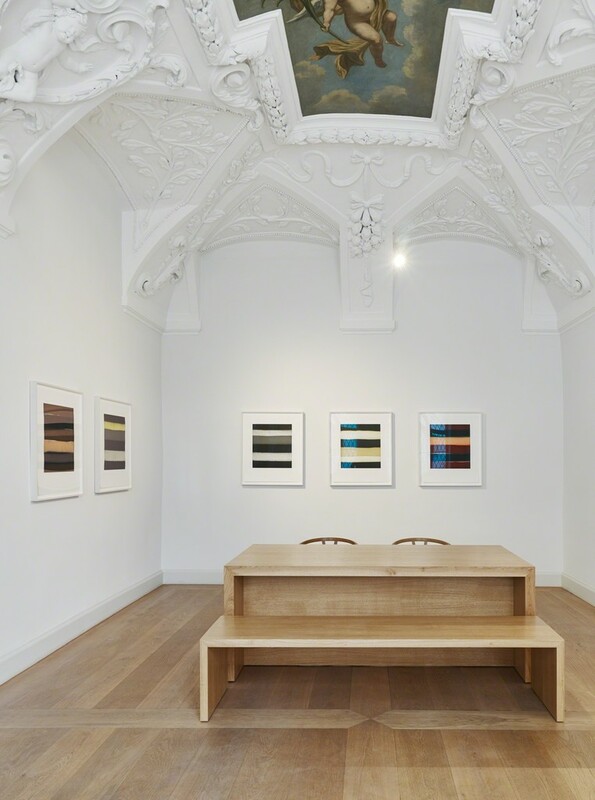 In this year alone no less than eight institutions devote extensive solo exhibitions to the artist, including such venues as The State Russian Museum - The Marble Palace, St Petersburg, The Staatliche Kunsthalle Karlsruhe, The Walker Art Gallery, Liverpool, The Yorkshire Sculpture Park, Wakefield and The Hirshhorn Museum and Sculpture Garden, Washington, D.C.. He will have further institutional exhibitions in 2019 at the Wadsworth Atheneum in Hartford CT, the LWL Museum für Kunst und Kultur in Münster, the Albertina in Vienna, and will be presented once again during the Venice Biennale at San Giorgio Maggiore in Venice and the Villa Panza in Varese. Scully’s oeuvre is represented internationally in numerous museum collections, including The Metropolitan Museum of Art, The Museum of Modern Art, and The Solomon R. Guggenheim Museum, The Whitney Museum of American Art, New York City, NY; The National Gallery of Art, the Corcoran Gallery of Art, The Hirshhorn Museum and Sculpture Garden, The Smithsonian American Art Museum, Washington, D.C.; The Modern Art Museum of Fort Worth, Fort Worth, TX; The San Diego Museum of Art, San Diego, CA; The San Francisco Museum of Modern Art, San Francisco, CA; Tate, The British Museum, The Victoria and Albert Museum, London; the Neue Pinakothek, the Städtische Galerie im Lenbachhaus, Munich; the Staatliche Kunstsammlungen, Dresden; the Staatliche Museen, Kassel; the Staatsgalerie, Stuttgart; the Städel Museum, Städelsches Kunstinstitute und Städtische Galerie, Frankfurt am Main; the Kunstsammlung Nordrhein- Westfalen K20K21, Düsseldorf; the Albertina, Vienna; the Museo Nacional Centro de Arte Reina Sofia, Madrid; the IVAM - Institut Valencià d’Art Modern, Valencia; Guangzhou Museum of Art, Guangzhou; China Central Academy of Fine Arts, Beijing. Interviews of Sean Scully, p. 16. Sean Scully in his lecture at the Phillips Collection, Washington, D.C., 2005, see Grovier (Ed. ): Inner, p. 185.
 cf. Grovier, Kelly: Inner. 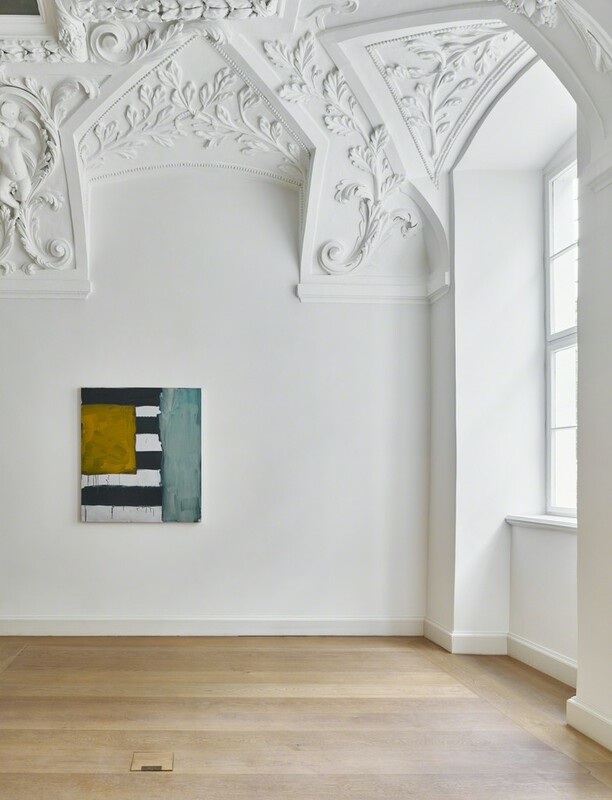 The Collected Writings and Selected Interviews of Sean Scully, Berlin 2016, pp. 130, 185, 252, 284. Atlanta, London 1995, p. 38.